Xubuntu (/zuːˈbuːntuː/ zoo-boon-too) is a Canonical Ltd. recognized, community maintained derivative of the Ubuntu operating system, using the Xfce desktop environment. The name Xubuntu is a portmanteau of Xfce and Ubuntu. Xfce originally was an abbreviation for XForms Common Environment, while Ubuntu means "humanity towards others" in the Zulu and Xhosa languages. provide an easy to use distribution, based on Ubuntu, using Xfce as the graphical desktop, with a focus on integration, usability and performance, with a particular focus on low memory footprint. 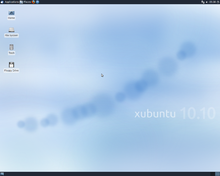 The integration in Xubuntu is at a configuration level, a toolkit level, and matching the underlying technology beneath the desktop in Ubuntu. Xubuntu will be built and developed autonomously as part of the wider Ubuntu community, based around the ideals and values of Ubuntu. 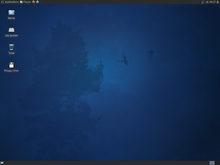 The Xfce desktop environment is intended to use fewer system resources than the default Ubuntu Unity desktop. As recently as September 2010 the Xubuntu developers claimed that the minimum RAM Xubuntu could be run on was 128 MB, with 256 MB of RAM strongly recommended at that time. Subsequent reviewers emphasized Xubuntu's perceived deficiencies in performance to highlight Lubuntu, a project with similar goals but using the LXDE desktop environment as opposed to Xfce. For instance, Damien Oh of Make Tech Easier noted in May 2010, "So what about Xubuntu? isn’t it supposed to be the lightweight equivalent of Ubuntu? Sadly, that is a thing of the past. The truth is, the supposed lightweight equivalent is not lightweight at all. 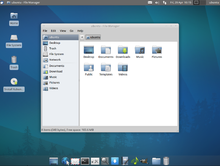 While Xubuntu is using the lightweight XFCE desktop environment, it had been bugged down by several heavyweight applications and also the integration with GNOME desktop also makes it lose its advantage." 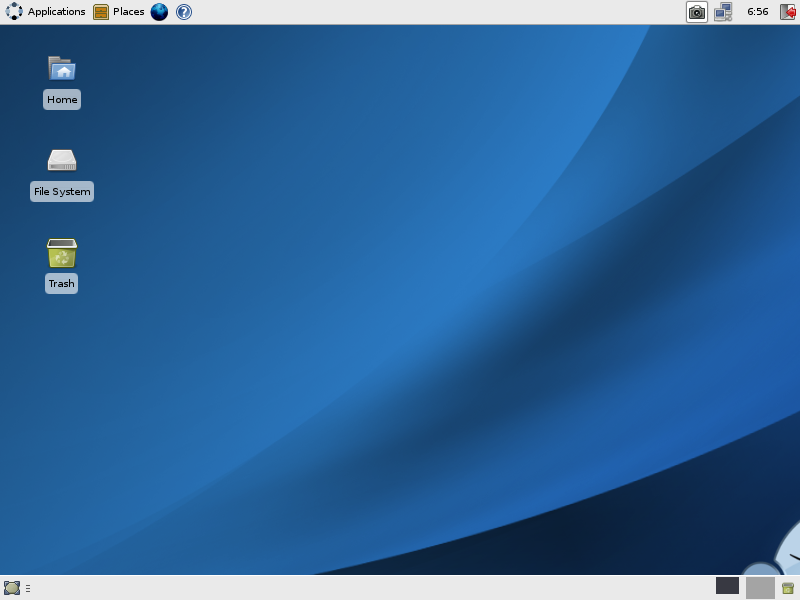 As of the Xubuntu 11.04 release the developers now "strongly recommend" 512 MB of RAM to use Xubuntu. This is the same as is recommended for Ubuntu 11.04. In November 2009, Cody A.W. Somerville stepped down as the project leader and made a call for nominations to help find a successor. Lionel Le Folgoc was confirmed by the Xubuntu community as the new project leader on 10 January 2010 and requested the formation of an official Xubuntu council. As of late March 2010, discussions regarding the future of Xubuntu's governance and the role a council might play in it were still ongoing. 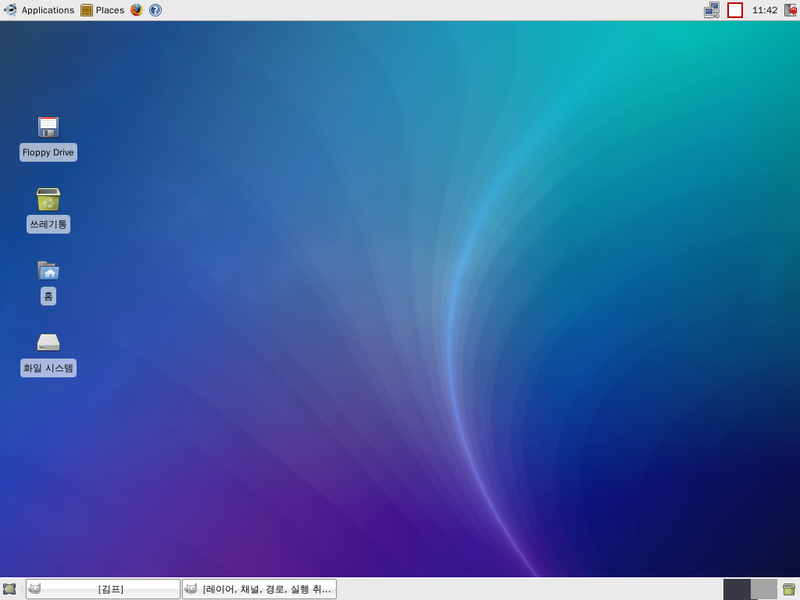 It was introduced with the statement "Xubuntu is the newest official Ubuntu derivative distribution, using the Xfce desktop environment and a selection of GTK2 applications. Its lightweight footprint is well suited for low-end hardware and thin clients. Xubuntu builds on the solid foundation of Ubuntu, with world-class hardware support and access to a vast repository of additional software." Caitlyn Martin reviewed Xubuntu 6.06 in June 2006. She singled out its "bare bones approach" to the applications included, indicating that she would rather add applications she wanted than clean out ones she didn't want. On her aging laptop Xubuntu 6.06 proved faster than Fedora Core 5. She stated "Under Fedora when I opened a couple of rather resource intensive applications, for example Open Office and Seamonkey, the system would begin to drag. While these apps still take a moment to get started on Xubuntu they are crisp and responsive and don’t seem to slow anything else down. I never expected this sort of performance and that alone made Xubuntu an instant favorite of mine." She had praise for the Thunar file manager, as light and fast. 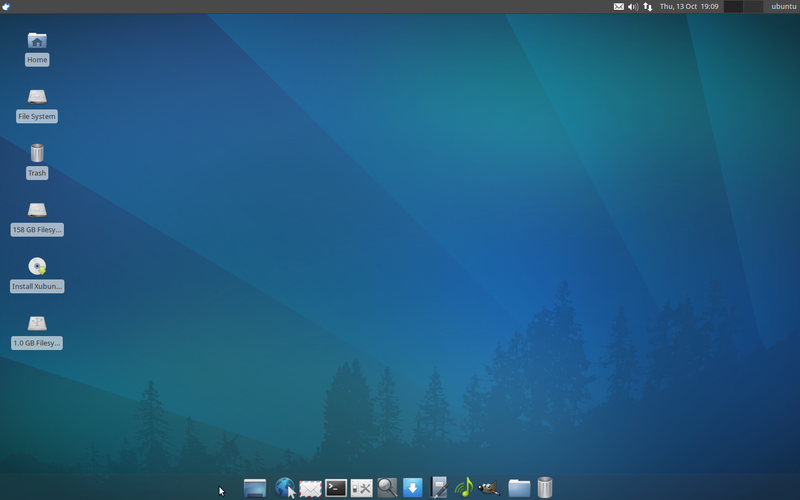 She concluded "Overall I am impressed and Xubuntu, for the moment anyway, is my favorite Linux distribution despite a few rough edges, probably largely due to the use of a beta desktop." 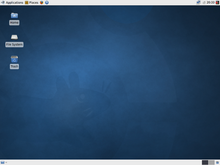 Xubuntu 6.10 was released on 26 October 2006. This version used Xfce 4.4 beta 2 and included Upstart, the Firefox 2.0 web browser, the Gaim 2.0.0 beta 3.1 instant messaging client along with new versions of AbiWord and Gnumeric. The media player was gxine which replaced Xfmedia. The previous xffm4 file manger was replaced by Thunar. It introduced redesigned artwork for the bootup splash screen, the login window and the desktop theme. Reviewer Caitlyn Martin tested Xubuntu on a four year old Toshiba Satellite 1805-S204 laptop, with a 1 GHz Celeron processor and 512 MB of RAM in December 2006. She noted that Xubuntu ran faster than GNOME or KDE, which she described as "sluggish" and rated it as one of the two fastest distributions on her limited test hardware, placing with Vector Linux. She found the graphical installer to be be less than acceptable and the text-based installer better. She concluded, "Once I had everything I like installed and configured I’ve found Xubuntu to be truly a pleasure to use. It’s user friendly for the newcomer and highly customizable for the experienced user. The basic application set on the single CD is, as expected, limited but I’d rather build up a distro with what I need and exclude what I don’t need than try to remove cruft. Performance is the best I’ve seen in any current distro. Most of my complaints are nitpicking and in general Xubuntu Edgy Eft is as good as any Linux distribution I’ve used so far. Highly recommended." 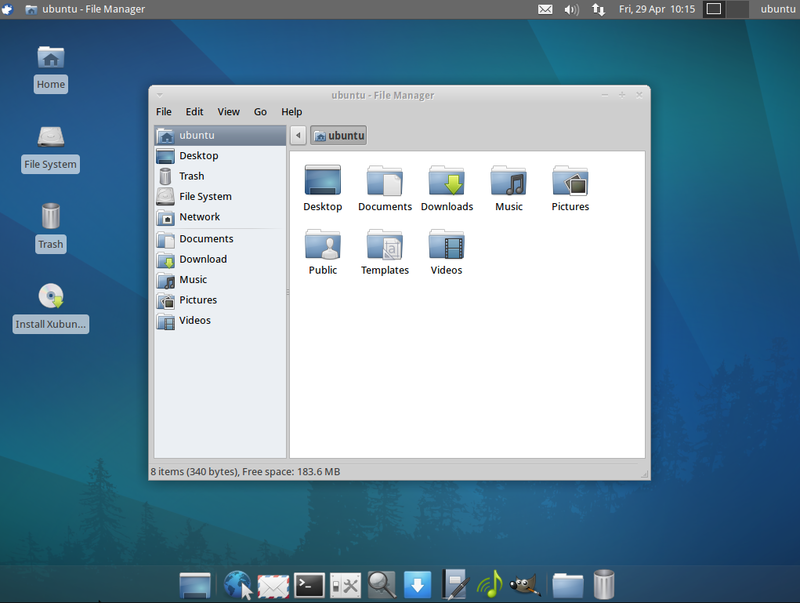 In one Review Linux look at Xubuntu 7.04 it was faulted for not including OpenOffice.org. The reviewer noted "If you do decide to keep the default software, it will cover your basic needs. 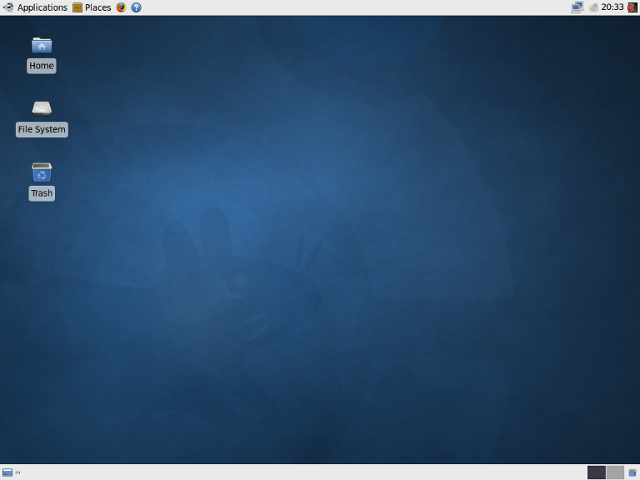 Xubuntu comes with light weight desktop in XFCE 4.4 and also less tasking programs. If you are thinking that OpenOffice will come pre-installed on your desktop, you will be greatly surprised as AbiWord and Gnumeric are your default processor and spreadsheet program." He indicated though that installing applications from the repositories was easy and made for simple customization of an installation. 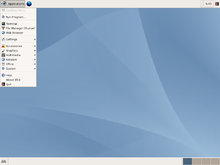 18 October 2007 was the release date for Xubuntu 7.10. It was based upon Xfce, 4.4.1 and added updated translations along with a new theme, MurrinaStormCloud, using the Murrine Engine. Reviewer Christopher Dawson of ZD Net installed Xubuntu 8.04 on a Dell Latitude C400 with 512 MB of RAM, a 30GB hard drive and a 1GHz Pentium III-M processor. He noted it provided better performance than the Windows XP Pro it replaced. He concluded "This is where Xubuntu really shines... What it will do is take some very moderate hardware and provide a solid, reliable, and relatively snappy machine for a user with productivity needs or who accesses terminal services." 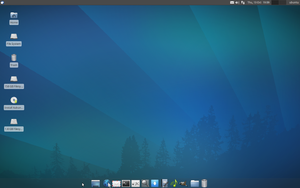 Darren Yates, the Australian IT journalist, was very positive about Xubuntu 8.10, particularly for netbooks, which were at their peak of popularity then, dismissing "ubuntu itself is nothing flash". He said "One of the disappointing things about the arrival of netbooks in Australia has been the decline of Linux in the face of an enslaught by Microsoft to push Windows XP Home Edition back into the market. It’s sad because Xubuntu is the ideal Linux distro for these devices. While the latest Xubuntu 8.10 distro lacks drivers for WiFi wireless networking and in many cases also the built-in webcams, those drivers do exist and incorporating them inside Xubuntu would neither be difficult or take up much space." Xubuntu 9.04 used Xfce 4.6, which included a new Xfce Settings Manager dialog, the new Xconf configuration system, a improved desktop menu and clock, new notifications and remote file system application Gigolo. This release also brought all new artwork and incorporated the Murrina Storm Cloud GTK theme and a new XFWM4 window manager theme. 9.04 also introduced new versions of many applications, including the AbiWord word processor, Brasero CD/DVD burner and Mozilla Thunderbird e-mail client. It used X.Org server 1.6. The default file system was ext3, but ext4 was an option at installation. In testing Xubuntu 9.04 Distrowatch determined that Xubuntu used more than twice the system memory than Debian 5.0.1 Xfce and that while loading the desktop the memory usage was ten times higher. DistoWatch attributed this to Xubuntu's use of Ubuntu desktop environment services, including the graphical package manager and updater, network manager, power manager, proprietary driver manager. They provided a plan to strip it down and reduce its memory footprint. Parole - Music and Video player. Xubuntu includes the Ubuntu Software Center which allows users to download additional applications from the Ubuntu repositories. A variant of Xubuntu for the storage-constrained Asus Eee PC. This variant has not seen an update since version 7.10. 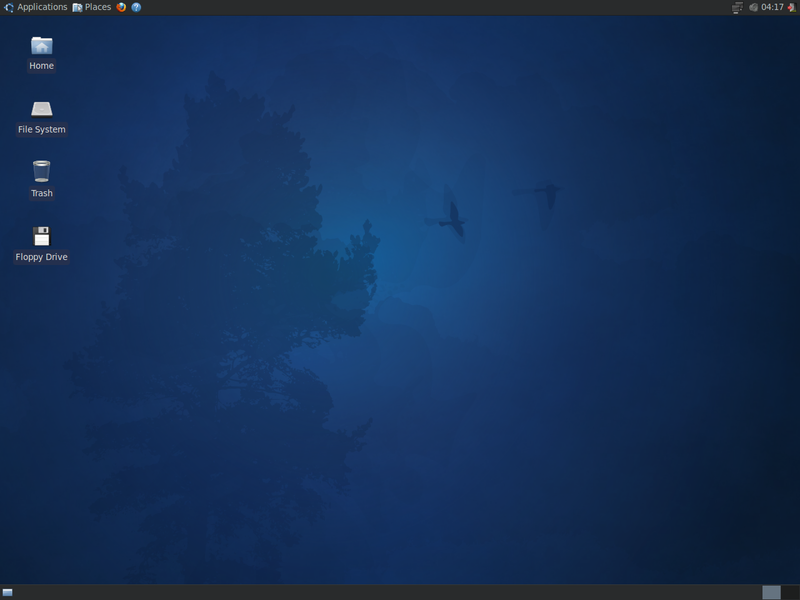 A now-defuct Linux distribution based on a severely stripped down version of Xubuntu. Focused on Enlightenment, e17, compiled directly from SVN source. Easy update of e17 is made from SVN updates, by a click on an icon or from CLI using morlenxus script. A derivative of Xubuntu whose interface was made to look like BeOS. A 64 bit version was released in May 2009. In 2010 PC/OS moved to more unified look to its parent distribution and a GNOME version was released on March 3, 2010.